Tomorrow, I am attending a workshop, the objective of which is to develop a curriculum focused upon digital citizenship. I have been pondering digital citizenship and social media the last few days. This evening I brought together some of the relevant articles that I have read and tagged on the topic in the past, both recently and further back in time. This process resulted in this post. During the last seven years I have been teaching educators how to establish a web presence and establish blogs. During that time it has become obvious to me that one of the most effective ways to teach digital citizenship is through the exemplary use of social media by educators themselves. It seems to be a logical adjunct to the suite of tools that educators can deploy to share the attributes and benefits of digital citizenship. If you are going to teach someone to drive a car you should learn how to drive a car as well, eh? Digital citizenship can be curated through education. Teachers and students can work together within the learning environment to acquire knowledge and skills in the effective management and application of the Internet. Through education the students can learn how the Internet can act as a tool to achieve outcomes that benefit themselves, their education and also the wider community. They can tap into the experiences and wisdom of the wider community. Digital citizenship can enable students to master the web. As I conduct social media workshops I always share examples of exemplary use of social media by educators and students. The best examples of the application of social media in education can be found in Singapore. They are all the product of the pioneering and ongoing work of my friend Sivasothi, lecturer, biologist, cyclist and social media evangelist. Toddycats! is meant to expose, develop, enthuse and apply individuals to programmes in conservation, education and research. The programme was originally meant to provide capacity building amongst undergraduates in NUS, and to provide them with an immediate means to contribute meaningfully towards the greater good of Singapore. The programme is now open to anyone who can fit our schedule, in the recognition that all you really need is enthusiasm and commitment! This web site is an informative resource focused upon the staff and students in the biodiversity research focus group at the Department of Biological Sciences, National University of Singapore. 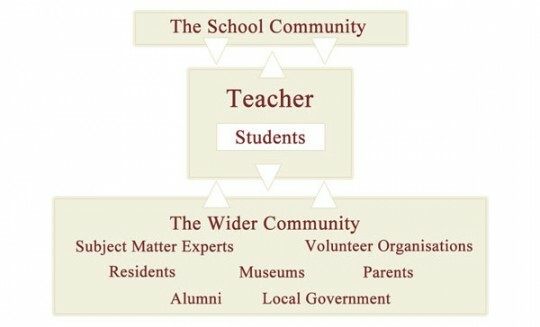 It connects students and staff with the community via their publications. As you explore the site it strikes you that the student blogs reach back to 2004 and other areas of web presence reach back to 1998. This resource and its associated organs have been in existence for more than 13 years. Think about it. More than 13 years. Take the time to explore the student blogs and sites. There are many educators who are publishing excellent articles on the issue of social media in education and digital citizenship. They include Jenny Luca, Darcy Moore, Miguel Guhlin, Alec Couros, Vicki Davis, and researchers such as Danah Boyd. It is not always easy to keep up with all that they write and share concerning their experiences with teaching, learning, students and social media. Thank goodness for RSS feeds and RSS readers such as Google Reader or Reeder. Digital citizenship can be vehicle that ensures the journey on the Internet is not only safe but also produces outcomes that benefits the community. Social media should be employed to create communities and not to tear them apart. Community should be the focus and not the individual. Listed below are a number of sites and articles that provide resources and food for thought on the topic of social media and digital citizenship. Stop turning a blind eye! Media literacy in action. Essential Skills for Today’s 21st Century Learner?!? Why are we legislating against the medium and not the behaviors? The Problem with Facebook Is Your Friends! Steve Hargadon: Ugh. Classic Politics Now Extends to Social Networking in Education. Infographic: Is Social Media Ruining Students? Facebook In The Classroom. Seriously.